Detox juices: Are they any good? Great Tips for Great Hair After The Gym! 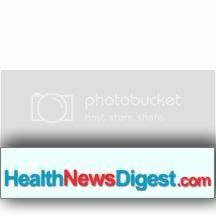 Katie Hughes, PhD, CEO/Founder Dance Yourself Fit LLC is highlighted along with Slip-On Dancers. Slip-On Dancers Featured in Z-Life Magazine Holiday Gift Guide! A clever stocking-stuff for dance-fitness fans! West Lake Magazines reviews Dance Yourself Fit LLC and Slip-On Dancers! Slip-On Dancers give you the power of adjustable traction. They fit on regular shoes in seconds and allow your hips to move more freely. "In keeping with the theme of things that go well with Westlake Magazine, please allow me to introduce another personal favorite: Slip-On Dancers. Slip-On Dancers give you the power of adjustable traction. They fit on regular shoes in seconds and allow your hips to move more freely. 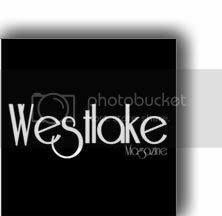 Which means you can read Westlake Magazine AND dance at ...the same time. Then again, it may be better to first have a vigorous workout, followed by a cool down where you thumb through the beautiful pages of Westlake Magazine and enjoy the latest stories about celebrity, dining and fashion. Get dancing -- and reading! Now! Westlake Magazine helps you do both! How Do Do We Get People to Exercise? We Make It Fun Of Course! Slip-On Dancers, a patent-pending, easy-to-use and inexpensive product, made in America. Slip-On Dancers recommended by popular website Party Yourself Into Shape! Check out the new "Slip-on Dancers" that fit on shoes you already own. They allow your hips to move more freely and may help reduce the risk of twisting knee injuries - even on carpeted surfaces! When Katie Hughes taught Zumba classes while attending Princeton University, students said they loved the Latin dance-inspired exercise but complained it was killing their knees. From chemistry to Latin fusion! Slip-On Dancers are the Perfect Stocking Stuff for this Holiday Season!